Dubai: Australian No. 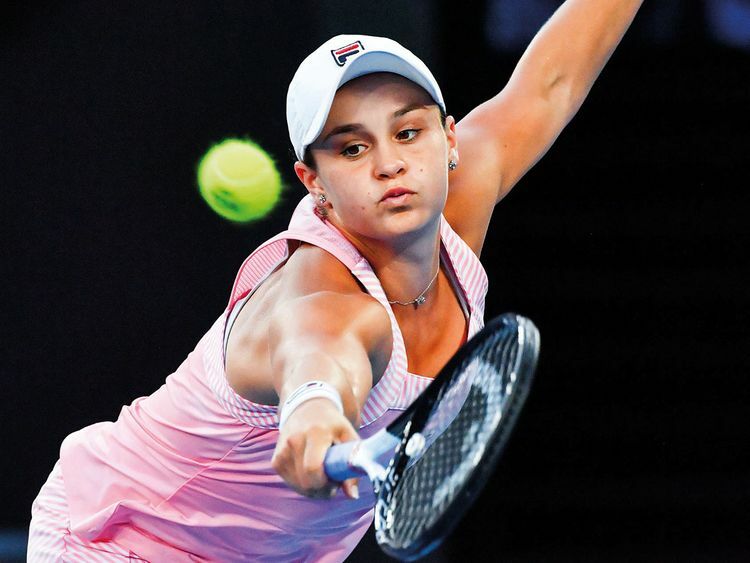 1 Ashleigh Barty is expected to be a strong contender for the Dubai Duty Free Tennis Championships trophy when play gets under way on February 17. The 22-year-old stands a modest 1.66 metres (5’ 5”) but is proof that you don’t have to be a giant to succeed in the game as she has long stood tall in both singles and doubles. She climbed to a new career high of 14 after the Australian Open, following victory over then world No. 1 Simona Halep on the way to her second successive Sydney final, which was followed by a win over Maria Sharapova in Melbourne that earned her a place in the quarter-finals of her home Grand Slam. On both occasions, it took the spectacular talents of Petra Kvitova to end her run. She has also enjoyed outstanding success in doubles, rising to No. 5 in the world, contesting all four Grand Slam finals and winning the US Open in 2018. But she is not only the top-ranked Australian woman in both singles and doubles. At the end of last season she received the prestigious Newcombe Medal, the highest honour in Australian tennis, for the second consecutive year, and she is the National Indigenous Tennis Ambassador for Tennis Australia with a goal to promote more indigenous participation in the sport. Barty faces formidable opposition which includes an incredible nine of the world’s top 10, led by reigning US and Australian Open champion and world No. 1 Naomi Osaka. Among others competing are two-time Wimbledon champion Petra Kvitova, 2018 Australian Open winner Caroline Wozniacki, French Open champion Simona Halep, treble Grand Slam winner Angelique Kerber, two-time Dubai champion Elina Svitolina, 2019 Brisbane winner and Australian Open semi-finalist Karolina Pliskova and former Grand Slam champions Garbine Muguruza and Jelena Ostapenko.